Much of the country has been hit by another blackout ahead of a march over the continuing electricity crisis. The government has claimed the blackouts are the result of sabotage in an effort to force President Nicolás Maduro from office. The power cuts have hit hospitals, public transport, water and other services, worsening a national economic crisis. 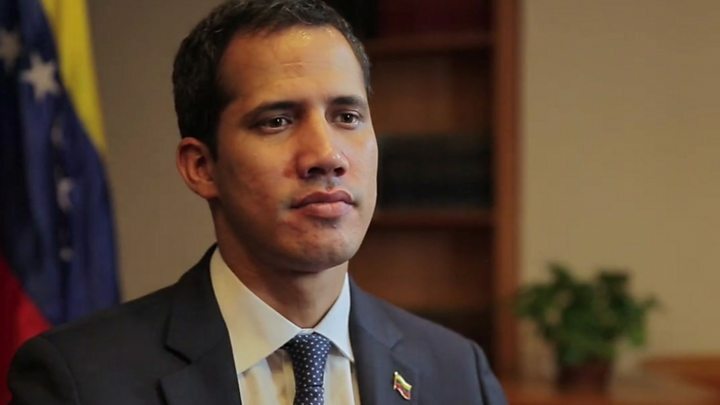 After Mr Maduro's government allowed the Red Cross to help, opposition leader Juan Guaidó responded by saying it had "recognised its failure by accepting the existence of a complex humanitarian emergency". In February, Mr Maduro used the army to block an effort led by Mr Guaidó to bring in US-backed aid convoys. 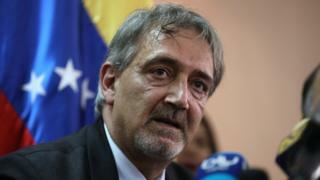 Speaking at a news conference in Caracas, Mr Rocca said: "We estimate that in a period of approximately 15 days we will be ready to offer help. We hope to help 650,000 people at first." Mr Rocca said the IFRC would need to be able to act with "impartiality, neutrality and independence" and no interference. Mr Guaidó said on Twitter that the IFRC announcement was a "great victory in our struggle". Mr Maduro has yet to comment publicly on the move but, the BBC's Will Grant says, is likely to paint it as the consequence of a Washington-backed economic war. The US welcomed the announcement as a "real opportunity" and said it would be "happy to put some of our aid into this method of reaching the Venezuelan people".